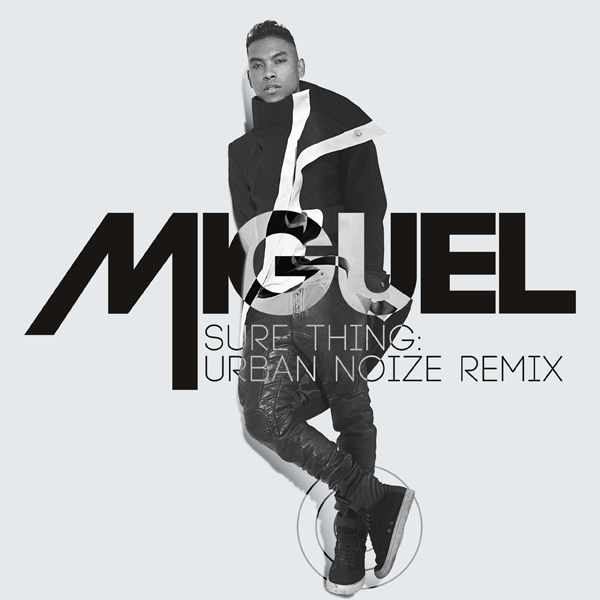 Coming on the heels of the release of Miguel's sophomore album, Kaleidoscope Dream, Urban Noize took to remixing the standout single "Sure Thing" from the R&B sensations' 2010 debut LP, All I Want Is You. Adding to the ever-increasing catalog of remixes, for their latest effort the brotherly duo offer up a creative spin to Miguel's chart-topping single. Described by the production duo as a "jazzy" remix with a "live performance feel," UN's refix dims the lights and cranks the dial on the chill factor, giving Miguel signature song a classy soul-tinged lounge sound. Stream the remix below and grab a copy of Miguel's Kaleidoscope Dream which is available now via RCA Records on iTunes and is currently being streamed via Miguel's official website.